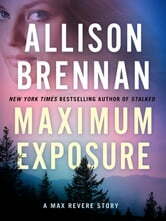 In this thrilling story, New York Times bestseller Allison Brennan introduces tough-as-nails investigative reporter Maxine Revere, the compelling feature character of Notorious, Brennan's exciting new series debut available in hardcover March 25, 2014. Two years before the events in Notorious, Max travels to Colorado Springs to investigate the disappearance of a college student. Frustrated over the lack of interest from both friends of the victim and campus authorities, Max tags along with the leader of search and rescue and his dog through the beautiful and deadly Rocky Mountains in the hopes of finding answers. Every answer she finds leads to more questions—questions neither the police nor the college want Max asking. 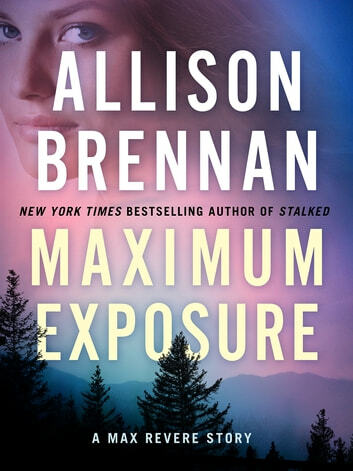 I can't get enough of Allison Brennan books. Can not put it down till the end. A good read! Strong characters. This will be a great new series ! One to read.